Bayer Leverkusen's reputation in South America – and particularly in Brazil – served them well this year when they persuaded another top talent to move to Germany. Brazilian attacker Paulinho looks like he will add yet more flair and power to Heiko Herrlich's line-up for the 2017/18 campaign. A direct attacking midfielder standing at 5’ 9”, Paulinho made his professional debut for Brazilian giants Vasco da Gama at the age of 16. He scored a double on his first league start in July 2017, and in February 2018 he became the first player born this millennium to score in the Copa Libertadores – the South American equivalent of the UEFA Champions League. 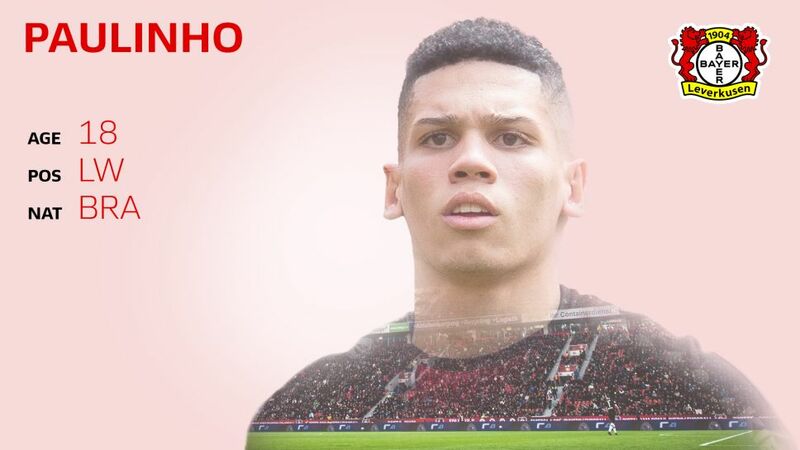 He won the South American under-17 Championship with Brazil in 2017, and also found the net three times at that year’s FIFA under-17 World Cup.